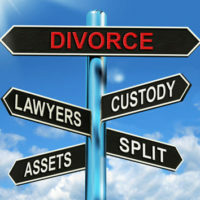 Like many other states, Florida follows the rule of equitable distribution during a divorce. This differs from community property states in which marital assets are split 50/50. With equitable distribution, assets are divided fairly. Courts will use a number of factors to help decide what is fair for each couple’s particular situation. Every situation is different, and there are no hard and fast rules on how a court may determine what’s equitable or fair. Especially in cases with a lot of marital assets, you need the help of a Boca Raton divorce attorney who can help protect your rights and negotiate on your behalf. Many divorces resolve on their own with a property settlement agreement, but you need to know what you are agreeing to and giving up. In addition, it’s important to understand what marital property is and what is separate property. Any other factors the court deems important to help achieve an equitable resolution. There are a number of different assets that can qualify as marital property in Florida. Most people think of common items like the marital home, a vacation home, cars, boats, recreational vehicles, etc. But there are other assets that could be subject to division as well. These include jewelry, investment accounts, and business equipment. In addition, retirement accounts may be subject to division, including profit-sharing plans, insurance plans, and deferred compensation plans. If they are marital property, a spouse has the rights to all funds and interests, vested and non-vested. Because the division of assets can be complex in a Florida divorce, especially for couples who have a lot of investments or own a business together, it’s important to speak with a Florida family law attorney. Some cases may require retaining a financial expert or forensic accountant who can help place a value on some marital assets. If you have questions on the division of assets process or need representation in your pending divorce, contact the Law Offices of Schwartz | White today at 561-391-9943 to schedule a consultation.